Nanoblocks are more or less equals to LEGO Bricks, but much smaller; 'micro-sized building blocks'. 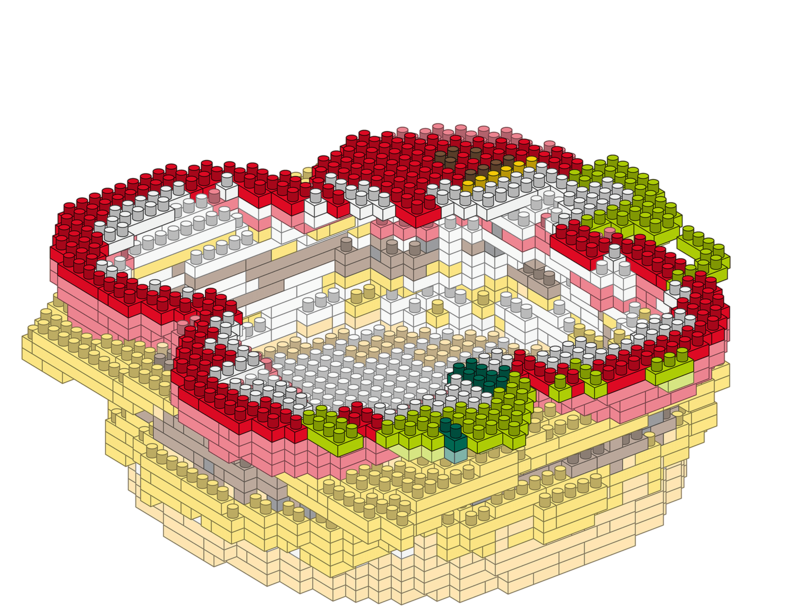 The legolizer software generates an accurate Nanoblocks representation of any 3D model..
LEGO Bricks and Nanoblocks, both models consists of 32 vertically stacked bricks. 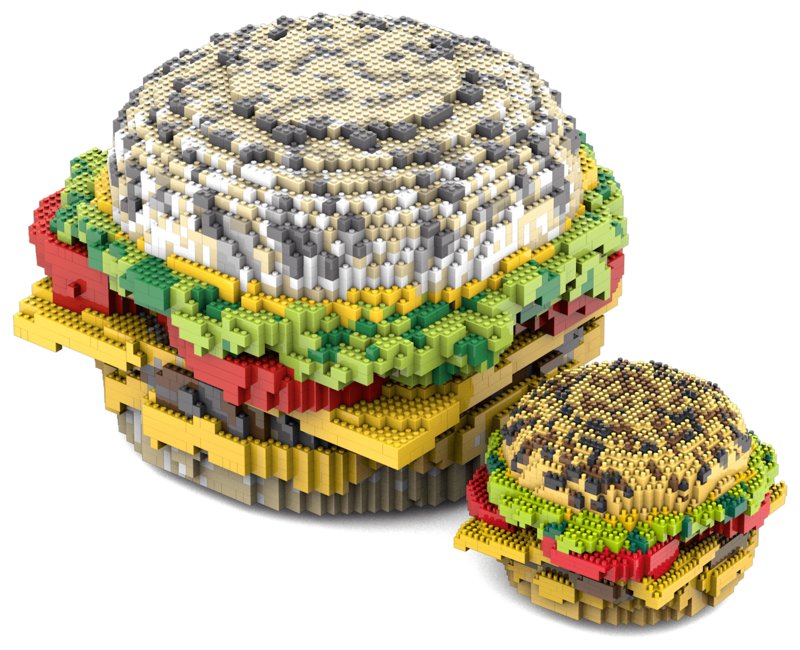 Each Nanoblock is an individual object. output .OBJ, .C4D, .3DS, .STL, .DAE etc.. Features especially for your customized real-life nanoblock objects. Adjustable thickness (in nanoblock units). Nanoblocks positioning optimized for maximum strength; prefference for overlapping and staggering above stacking. Preference for larger Nanoblocks; less building time, more strength. (Optional) Internal structure for more strength. Choose .3ds for Autodesk 3ds Max , choose .c4d for Maxon Cinema 4D , .dae ( COLLADA ) or .stl for 3D printing and last but not least .obj ( Wavefront ). The conversion program is not commercially available. 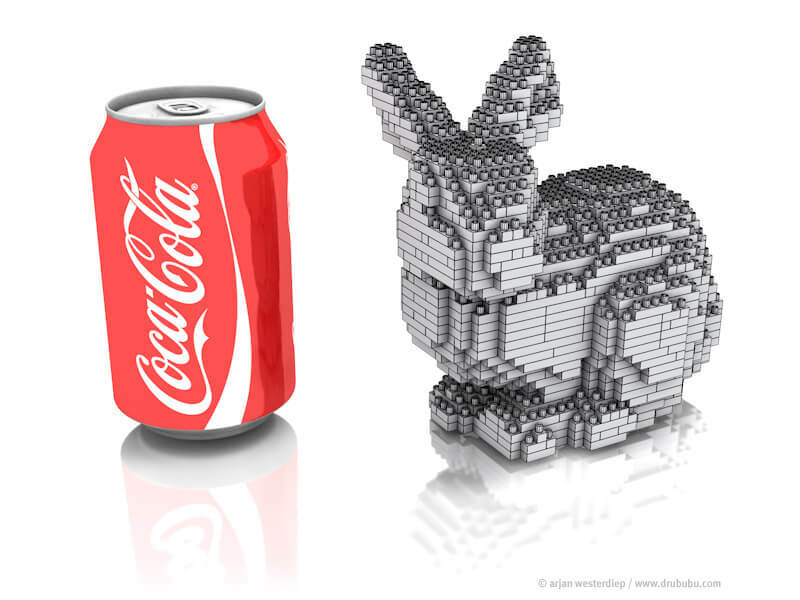 however, if you want your own 3D model as nanoblocks object, please feel free to contact me about the costs. The costs depend on your requirements; size, specific bricks, etc. If you have any questions/remarks, please feel free to send me an e-mail.